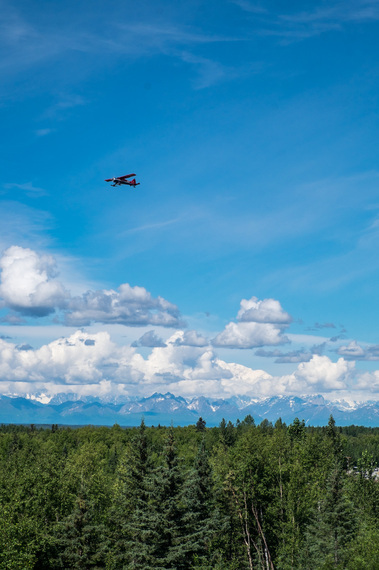 To look out onto the wildness of the open Alaskan tundra, you will start to understand why Denali is the most visited and well-known of all of Alaska's national parks--it's a place that personifies wilderness. Denali (formerly Mt. McKinley) National Park in interior Alaska is home to the highest peak in North America, and you would think that it is that distinction that earned it National Park protection. It was, however, the first national park that was protected as a wildlife habitat and sanctuary. In the early part of the 20th century, after spending a great deal of time in the area observing wildlife species, a naturalist named Charles Sheldon began approaching Congress about setting aside the land he loved so dear so that poachers and hunters wouldn't destroy the populations of birdlife, caribou, wolves, moose, grizzlies, and Dall sheep that inhabited the region. His efforts proved successful and in 1917, President Woodrow Wilson established Mt. McKinley National Park--Alaska's first national park. One hundred years later, thanks to Sheldon's efforts, we as visitors are able to head out into the wilderness of Alaska on what we can only compare to African Safari--American style. In the African bush, wildlife lovers are in search of "the big five"--lion, leopard, elephant, rhino, and buffalo. 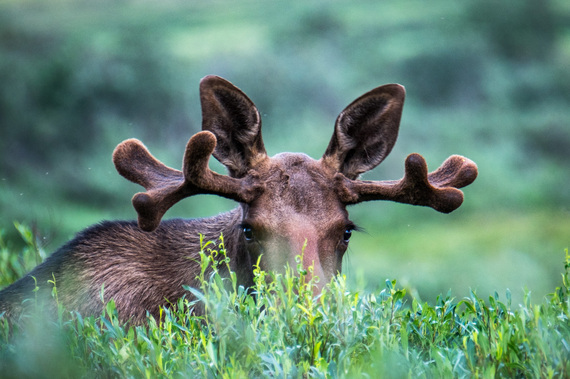 In the Alaskan wild, also referred to as "the bush," visitors seek glimpses of the American Big Five: wolves, Dall sheep, caribou, grizzlies, and moose. Guided bus rides are spent searching for animals in their natural setting. Grizzly bears appear as golden thimbles on the expanse. Moose stick their prominent noses out of the brush. Elusive wolves and lynx can be spotted in the early morning and late afternoon in search of food. Alaska's state bird, the Ptarmigan, wander among the lowland trees. Golden eagles fly overhead. It's as if time has stood still here; animals conducting themselves as they have for millennia. 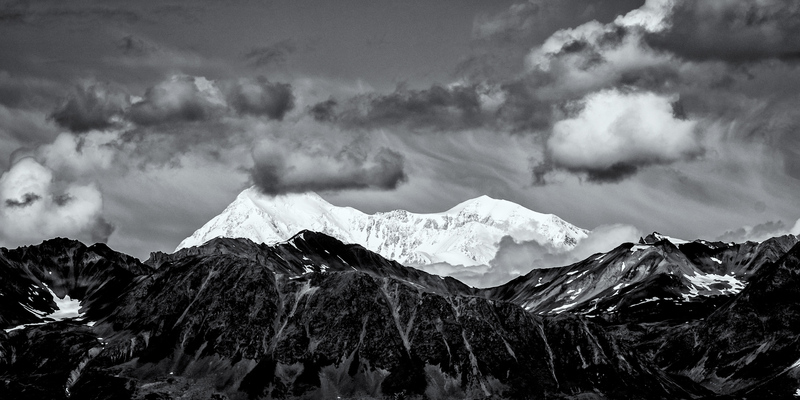 The Denali landscape scenery is no less extraordinary than the animals living in its vastness. Taking a macro view, you will see the soft beauty of a Renaissance-era landscape painting. Focusing in on the components, you will begin to see all of the little details that make the painting view even more incredible--the braided rivers, the spruce trees, open tundra, boreal wetlands, and of course, the wildlife that calls it all home. And then there is the mountain--Denali--the tallest peak in North America standing at 20,320-feet above sea level. The word "Denali" is native Athabascan for 'The High One' or "The Great One." It is so high that it creates its own weather system rendering it invisible two thirds of the time, meaning that many visitors may never see the fabled peak during their time in its midst. On the bright side, there is so much else to see and do at the park that you won't feel like you've missed a thing by the time you pack up to leave, whether you see the mountain or not. 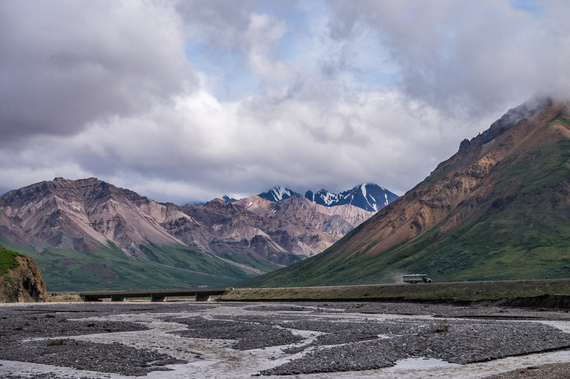 Denali National Park is 6 million acres in size, and in that space there is only one driving road. Even the most basic math skills will tell you that those two factors make it a challenging place to safely explore. That lack of easy access can be greatly limiting. But that's part of the draw--once you figure out how to get out there, you will find yourself without anyone else around for miles--tens of miles; hundreds of miles, thousands upon thousand of miles. Denali Park Road is the only road in the national park. Private vehicles can travel 15 miles of it, and beyond that, its 92-miles must be explored aboard a concessioner-operated tour/shuttle bus that offers daily trips to the road's end. The narrated, scenic drive through the park is geared primarily to wildlife viewing, the most commonly seen species being grizzly bears, moose, caribou, and birds. 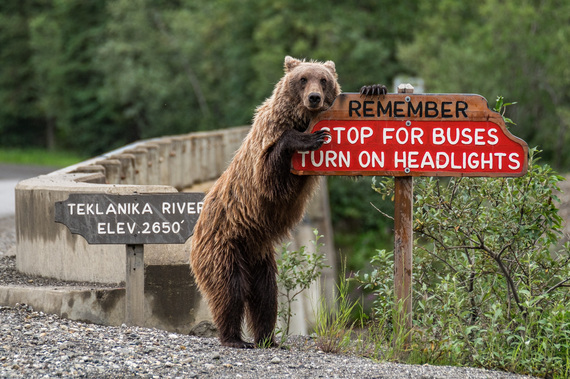 While you may get lucky and see wildlife on or near the road, you will most likely see them from a bit of a distance so bring binoculars and/or a telephoto lens to get a closer look. Camping is without a doubt one of the most cost-effective ways to experience the park in a more intimate way. Established campgrounds are situated up to 30 miles along Denali Park Road and must be reserved in advance. As private vehicles are only allowed 15 miles of access, campers are granted a special road permit with their reservation to drive to and from the campground that they are staying at only once (there are guards along the way, so no funny business!) Whether tent camping or boondocking with your RV or travel trailer (Wally the Airstream was so happy at the Teklanika campground!) you will have the wilderness on your doorstep in every direction and can set off to explore wherever you want from there--a way into the wild! 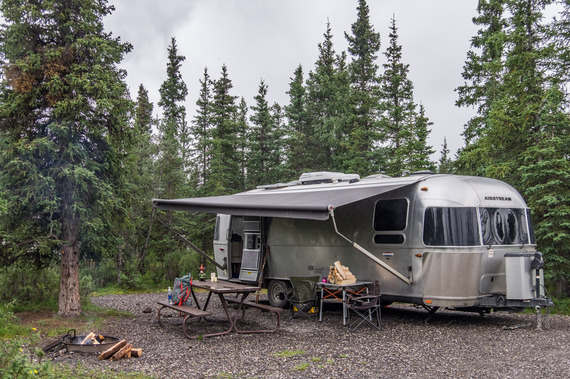 Denali is a wide open and trail-less expanse that satisfies perfectly those who want to get off-grid and sleep in the wild while setting up their own accommodations along the way. You have to have some backcountry chops to take this on--dangerous wildlife roams free throughout the entire park, weather changes on a dime, and services and emergency help are few and far between and sometimes, days away. 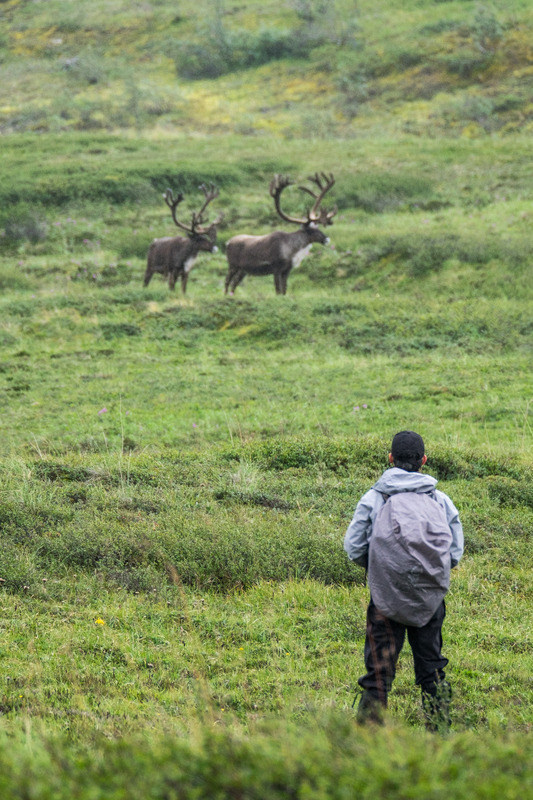 Backpackers in Denali have to be armed with their fair share of self-sufficiency and survival skills. Once you have that squared away, you are free of all of your common tethers in Denali's stunningly rugged wilderness. There are a few lodges at the end of Denali Park Road that offer a close proximity to Wonder Lake--a great viewing point for the mountain when it decides to show itself--including Camp Denali, the North Face Lodge, and the Kantishna Road House. To stay in a lodge in the park is no easy or inexpensive thing, and it is often the type of experience that people save up for a long time for to be able to do. As these lodges offer the cushiest deep-into-the-park experience, they book up well in advance so if this is your jam, plan ahead.